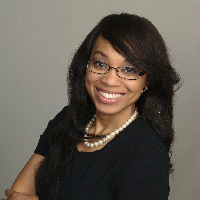 Hi my name is Katesha, and I am a Licensed Clinical Social Worker (LCSW) in the states of Virginia and Colorado. I am also a Board-Certified TeleMental Health (BC-TMH) provider. I am the CEO and Founder of Village Mindset, LLC, which is a telemental health group practice based out of Hampton, VA that offers mental health therapy as well as life coaching services. I completed my Bachelor of Arts in Sociology at North Carolina State University located in Raleigh, NC. I begin my career in social work, and in the helping profession in 2009, by being a Court Appointed Guardian ad Litem (GAL) for Durham, County, NC and Food and Nutrition Case Manager for Wake County, NC, County. I started my clinical training in 2011 at Norfolk State University in Norfolk, VA. It was there that I completed my Master of Social Work degree with a Clinical Concentration, where I focused my studies on military families and minorities. I have had the opportunity to serve adults and children in North Carolina and Virginia in various settings ranging from offices, family residences, residential facilities, schools, to correctional facilities. I enjoy working with clients who are working to overcome challenges from their past or in their present life such as: sexual assault, abuse, depression, anxiety, mood disorders, domestic violence, family conflict, juvenile delinquency, parenting conflict, teen parenting, psychiatric disorders, history of incarceration, marital/relationship conflict, career issues, academic issues, behavioral issues, parenting children with special needs such as Autism Spectrum Disorder, ADHD, ODD, etc, or just general transitions in life. I like to approach issues from a strength-based perspective and employ techniques from: cognitive behavioral therapy, and solution focused therapy among another treatment of modalities to assist my clients in reaching their goals. It is my desire to be a support for you as you experience life abundantly. So lets get started on helping you walk in your truth, and and be authentically you. Contact me today! Katesha seems to know exactly what I am going through and matches both her caring nature and her professional expertise perfectly during our sessions, and I always felt better after the hour was up. For the short time I've been a patient, Katesha has been very responsive and helpful in addressing my mental health concerns! She is knowledgeable and kind. Katesha Broadus is an exemplary therapist. Lucky to have found her! She is very skilled and I am very enthusiastic and look forward to our sessions as well as all of her communication with me. Clearly she is very passionate about what she does because she gives 100% at every session and seems to never miss a beat when it comes to my all around well being. I highly recommend her. Would you like to write a review for Katesha Broadus? We'd appreciate if you can spend a couple of minutes to write a short review for Katesha Broadus (LCSW, BC-TMH). This review would be shared with Katesha Broadus. It may also be posted in our website or in Katesha Broadus's profile but it would be anonymous and your identity would be kept completely confidential.